IoT is here and expected to grow immensely. 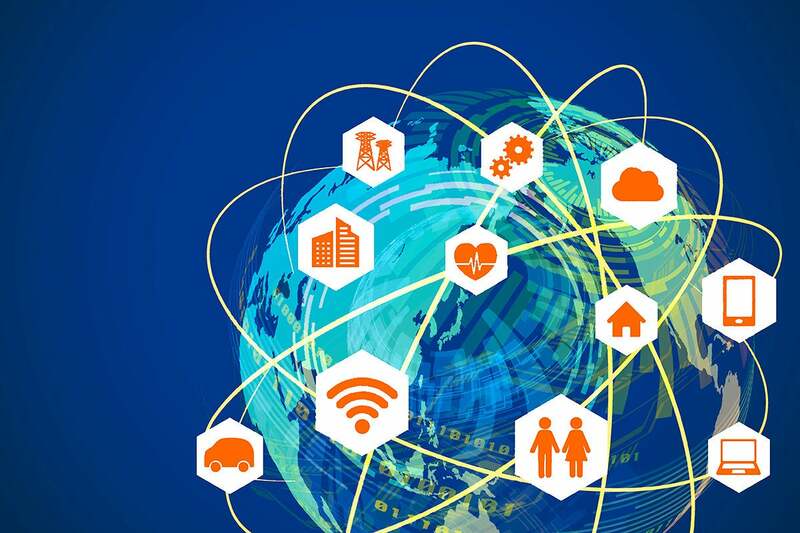 Organizations must plan now for how to accommodate it and build IoT-ready networks, says Alcatel-Lucent Enterprise’s Heitor Faroni. Given many network managers struggle running today's networks, adding orders of magnitude more devices certainly won’t make life better. Even if it seems IoT may be a few years off, it’s critical that network professionals start prepping their network now. 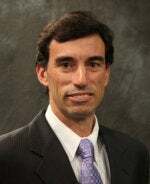 To help understand what the challenges are and what’s involved in building an IoT network, I interviewed Heitor Faroni, director of solutions marketing for the Network Business Division at Alcatel-Lucent Enterprise. Zeus: I know Alcatel-Lucent Enterprise has been very active with IoT. Building an IoT-ready network presumes that IoT is right around the corner. Where are we in the adoption of IoT, and what should customers expect over the next three to five years? Heitor: IoT still seems to be something for the future, but once you start asking around, there are actually quite a few deployments. For instance, look at universities: they have cases of IoT to help enhance the education. They have smart boards, projectors, augmented reality glasses, 3D printers, etc. It is also used to improve students' and visitors' experience with smart washing machines, digital signage, smart parking, vending machines — not to mention all the devices students bring to the dorms, including personal assistants like Alexa, Google and so on. Then you have all the facilities management and safety endpoints to create a smart campus. This includes lighting, HVAC systems, surveillance cameras, door locks, sprinkler systems, bathroom sensors that automatically trigger the cleaning crew, etc. Another aspect is the research and academic programs on IoT that universities are sponsoring. For example, the University of Edinburgh has a strong program with incentives for new startups. While it may seem like IoT deployments are light, there are actually a number of cases where it’s quite far along. 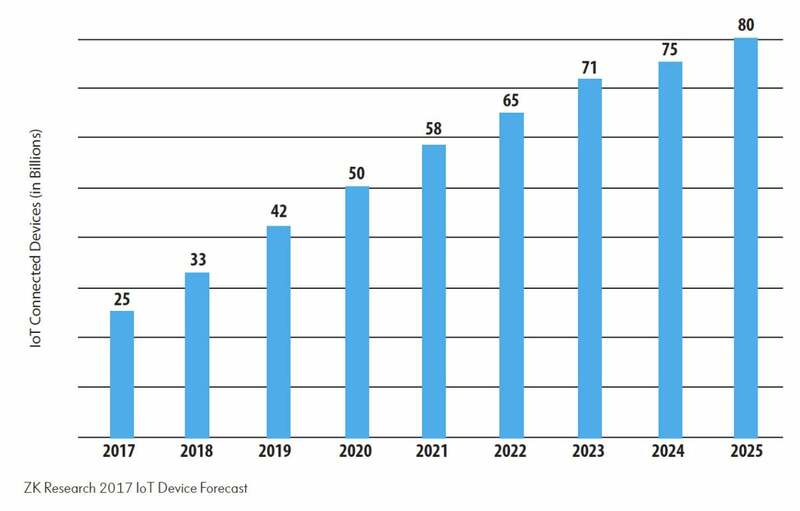 As IoT scales, the price of sensors and devices will continue to fall and we should see an acceleration of adoption in the next three to five years. I am even seeing IoT in areas never imagined. One of our customers, Abilene Christian University, recently won an award for implementing an interactive art project called Lightwalk, which is a combination of arts and computer science to improve the academic ambiance. Many other examples can be mentioned for other industries. In hospitality, much is being done for in-room technology, such as lights, curtains, IPTV, room temperature controls, and even bed bug detectors. Departments of transportation are making the roads safer with all sorts of radar, weather condition sensors, emission sensors, digital signage, etc. There are even plans to directly interface with self-driving cars, providing alerts for any type of hazardous conditions. IoT may seem like something futuristic, but it’s here now. Zeus: What are the challenges with traditional networks? Why are they not IoT-ready? Heitor: As companies deploy IoT systems, more critical operations and business practices will rely on the network infrastructure. Any downtime, bandwidth restriction, or even unexpected delays may have serious consequences. As they become more dependent on the network, it is imperative to have a network with more capacity, better QoS controls, and redundancy. Also, the need for connectivity may expand to outdoors or harsh environments, so businesses should be thinking of ruggedized LAN and WLAN equipment. Another aspect is the need for more Power-over-Ethernet (PoE). Previously only IP phones and wireless access points needed power, but now all sorts of devices may require it, and some even need high-power PoE of up to 60W. There are also operational considerations, such as the onboarding of IoT devices. In some cases, the IT team is required to add hundreds of devices. How can they do this in the most automated manner in order to simplify the work for the already-overloaded IT team? Finally, there is the concern with cybersecurity. IoT introduces many more vulnerabilities and considerably amplifies the area of exposure. Most existing networks are not prepared to detect and minimize these risks. Zeus: How is an IoT network different? Please describe the architecture of it. Heitor: An IoT network needs to consider the type of connectivity required by the IoT devices. Most have either a Wi-Fi or Ethernet interfaces, but you may have Bluetooth, ZigBee, Zwave, or other protocols. If that is the case, gateways need to be deployed to aggregate data from multiple devices and connect back to the Wi-Fi or Ethernet network. The network needs to be designed with a broader footprint, be more scalable and have adaptive QoS. Depending on the type of devices, more PoE and a simplified onboarding process that is simple and keeps a tight authentication of everything that is connected may also be needed. For instance, some networks have the capability to automatically detect devices as they are connected and immediately classify them in categories with pre-assigned QoS, access rights, and inventory control. It can make the process as simple as plug and play while reducing risk and improving performance. Zeus: Does the approach to security change? Heitor: One of the top challenges with IoT adoption is the increased risk of security breaches. Many IoT devices are not designed with security in mind and consequently have little to no integrated security capabilities. The best way is to minimize the risks is to take a multi-layer security approach. It starts at the user and device level, making sure that every user and device is recognized, authenticated, and authorized. Security can also be improved by monitoring and controlling the type of traffic traversing in each segment. To do so, the network hardware should be able to do deep packet inspection. Analytics is another layer of security that can be added. Knowing what is considered normal behavior can help you detect when something exceptional occurs, which could be the result of an ongoing DoS attack. Zeus: How do customers get from where they are today to an IoT-ready network? Is this a forklift upgrade or is there a migration period? Heitor: A gradual transformation is possible. Choose to do portions of the network. Perhaps start with the WLAN and then gradually expand to the LAN access, LAN core, a policy access system, and so on. Make sure you choose solutions that are standards-based to avoid locking into a specific vendor. Zeus: Any other final words of wisdom? Heitor: The pressure on IT is increasing. Their infrastructure is becoming more strategic for the corporation, and the systems are becoming more complex, while the staff is not growing. When choosing a solution, remember to take into consideration operational simplicity. For example, make sure you have a unified management system that can control your entire network, LAN, and WLAN with a single set of policies. It should also allow you to easily segment the network and automatically assign devices during the onboarding process to the segments you defined.